ExpanDrive is a special type of SFTP client that tightly integrates with Mac and Windows. It lets you map any SFTP (SSH) server as a network drive making the contents of that server available through Finder, Explorer or any other app on your system. ExpanDrive for Linux is currently in public beta. SFTP is often confused with FTP. They are in fact, quite different. 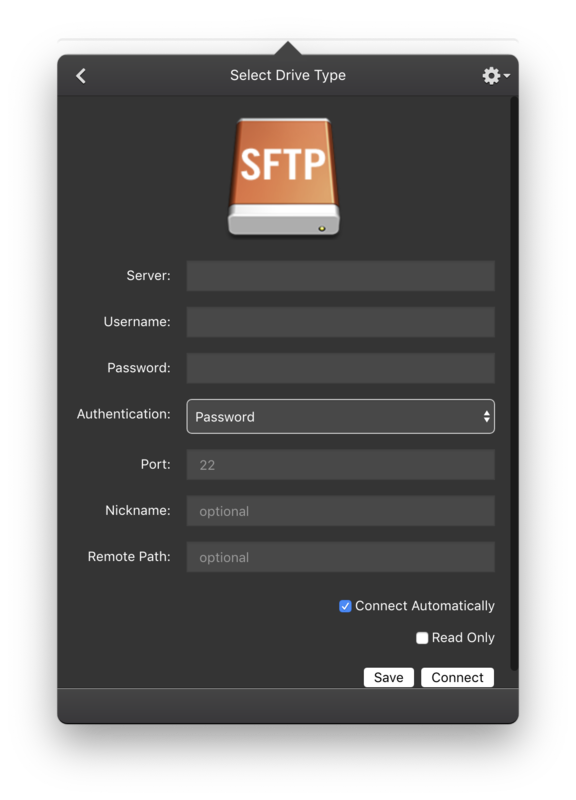 SFTP is a protocol that is provided by an SSH server, which is built into all Linux and Mac installations and is also available for windows. It is an extremely secure and popular protocol for remote access and file transfer. ExpanDrive supports both SFTP and FTP, but we strongly recommend using SFTP whenever possible. 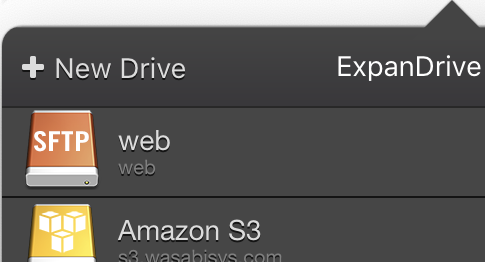 First, download and install ExpanDrive for Mac or Windows. It works on Windows 7 through 10, as well as Windows server – or macOS 10.9 and newer. Next open the ExpanDrive window and click on the New Drive button and select the SFTP drive type. ExpanDrive also supports other protocols like plain FTP, Amazon S3, Google Drive, Dropbox, OneDrive and more. Select SFTP (SSH) as the drive type, and move on to configuring your mapped drive. After you’ve created the drive you can customize the settings. You should start by specifying your SSH/SFTP server’s address, username and password. Password is the default authentication option. Your password is saved securely in the macOS Keychain or the Windows credentials vault. If you have multi-factor authentication set up, ExpanDrive will prompt you for those inputs during connection. ExpanDrive supports mounting a drive without a password using a public/private key pair. Currently we support OpenSSH format keys. If you have a putty “.ppk” file, you should either convert that key to OpenSSH format or alternatively load it into Pageant and use the agent style authentication within ExpanDrive. Note: You must have already generated a public/private rsa key pair, and that you must have also already added the public key to the SFTP server. From the SFTP configuration screen, enter the server name. For “authentication” select SSH Key. You are prompted to provide the SSH key file that includes the private key via the pop-up (must be in format supported by OpenSSH). Configure the remaining fields as required. Click on Connect. If your private key has a passphrase you will be prompted to enter it when connecting. A SSH Agent manages ssh key files for you, removing the need to enter a lengthy passphrase each time you want to connect to an SSH server. This is particularly helpful if you use multiple private/public key pairs to connect to different resources. You can use ExpanDrive with the Pageant SSH authentication agent (Putty utility) on Windows or the built-in ssh-agent on Mac. The private key managed by Pageant will be used to connect to the SFTP server, and there is no need to enter a passphrase. ExpanDrive supports macOS 10.9 or newer, Linux and Microsoft Windows 7 through Windows 10. Windows Server is also supported as well as RDP/Terminal services environments. ExpanDrive can isolate multiple users logged into the same machine so they each have their own view of cloud storage.